Home Supply-Chain Security What Is Customs? Having a general understanding of the customs process is a critical aspect of efficient supply-chain management. But what is customs? Customs is an authority or agency responsible for controlling the flow of goods into and out of a country. Depending on local legislation and regulations, the import or export of certain products may be restricted or forbidden, and the customs agency enforces these rules. Customs services are responsible for all imports into the country, collecting tariffs and preventing smuggling of illegal goods into and out of the country. The US Customs and Border Protection (CBP), an agency of the Department of Homeland Security, is responsible for regulating and facilitating international trade; ensuring that all imports and exports are legal and comply with US laws and regulations, and for collecting revenues associated with the enforcement of those laws. Customs inspections aim to ensure the efficient flow of legitimate cross-border traffic while also preventing the entry of illegitimate goods into the country. The goal is to achieve a sufficient level of security while not jeopardizing the efficient flow of legitimate commercial trade at the border. Customs inspectors enforce a number of laws intended to ensure all imports and exports comply with US laws and regulations. CBP is also responsible for apprehending individuals attempting to enter the United States illegally, stemming the flow of illegal drugs and other contraband, protecting the United States agricultural and economic interests from harmful pests and diseases, and protecting American businesses from theft of their intellectual property. Generally speaking, imported goods may not legally enter the commerce of the United States until US Customs and Border Protection has authorized delivery of the goods. To expedite clearance of goods, many importers will file entry documents electronically and pay surety bonds before the merchandise arrives at the port of entry. To effectively maintain the supply-chain management process, importers or their designated agents must file entry documentation within five working days of the arrival of the shipment at the port of entry. Importers must then file an entry summary and deposit estimated duties (a tax on imports) within ten working days from the time that the goods are entered and released by CBP. Upon arrival at the designated port of entry, the goods are considered “imported,” and are examined by customs inspectors for admissibility before being released from custody. Cargo shipments are typically targeted for inspection based on manifest descriptions of the containers; however, Congress has empowered customs to “stop, search, or examine” any “vehicle, beast, or person” upon which an officer suspects there is merchandise which is subject to duty or introduced into the country contrary to law. Customs officers may inspect all cargo before it is loaded onto vessels at a foreign port destined for the United States, while in transit, and may also inspect all merchandise imported from any country at the first port of entry where the goods arrive. Inspectors may board ships, planes, rail cars, and trucks to thoroughly inspect shipments. All cargo that is identified as high risk is inspected. In some cases, products are off-loaded at secure warehouses for more thorough inspections. In addition to visual, X-ray, and detector dog inspections, several new technologies are being adapted as part of the inspection process, including those used to find biological agents in cargo shipments. Officers may seize and secure any merchandise found that they have reasonable cause to believe is subject to duty or was introduced unlawfully. 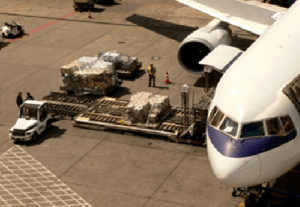 Following examination, the goods are typically released to the importer, usually under bond to cover potentially unpaid duties and other charges. The amount of duty owed is determined by tariff classifications and valuation of the goods. While a certain number of inspections are inevitable, every company has a responsibility to limit unnecessary delays in the customs processes by ensuring all required procedural guidelines are maintained and appropriate due diligence is followed to ensure the integrity of the supply-chain management process, expedite shipments and minimize unnecessary delivery delays. This post was originally published in 2017 and was updated July 2, 2018.